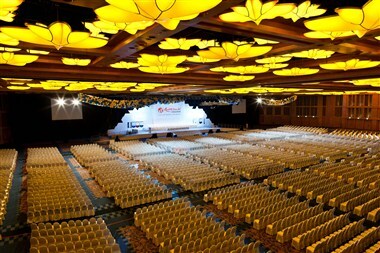 Resorts World Theatre brings you non-stop entertainment at Resorts World™ Sentosa, from high-energy concerts to street performances and more. Meet the magnificent Indo-Pacific bottlenose dolphins – some of the most fascinating marine mammals of the oceans! Dolphin Island offers a range of programmes that will give you the opportunity to meet them up-close. Our unique programmes give you the chance to interact with the dolphins, which will be an unforgettable experience. More importantly, it will inspire visitors to a deeper understanding of marine life, and to discover more about dolphins through “engagement learning”. Our marine mammal trainers and hosts will share knowledge about dolphins, their habitats, diets, anatomies and migration patterns. We will also share what we’re doing in the areas of research and veterinary care to give you an idea of what’s being done to protect the dolphins. We can look forward to building a more sustainable marine environment together. Arrange your interaction session to learn more about the dolphins today! Trick Eye Museum is finally here in Singapore. Get ready to let your imagination march into a miraculous dimension of original 3D artworks. Trick Eye is short for ‘Trick of the eye’, which refers to an art technique that turns two-dimensional paintings into three-dimensional images through the use of optical illusions. With that, 2D paintings on the museum walls, floors and ceilings appear to pop out of the surface and come to life. Visitors are more than welcome to explore the various themed galleries with their eyes, hands and even cameras. Step inside the paintings to complete a visual narrative with your creative poses, and watch a “tricky” story unfold before your camera. At Trick Eye Museum, you’ll be creating unforgettable memories with friends and family amid fun and laughter, with a dash of educational and cultural enrichment. Promising endless splashes of fun, Adventure Cove Waterpark is an aquatic adventure park with something for everyone. Feel the adrenaline rush as you zoom down thrilling waterslides such as Southeast Asia’s first hydro-magnetic coaster. Chill out with friends at Bluwater Bay wave pool, or grab a tube and journey down Adventure River, passing through 14 stunning scenes including a tropical jungle garden and a grotto inhabited by whimsical sea creatures. Snorkel over a colourful coral reef with 20,000 friendly fish or wade amongst dozens of rays as you touch their velvety wings. For a day of wet and wild fun in the sun, come and experience it all at Adventure Cove Waterpark. 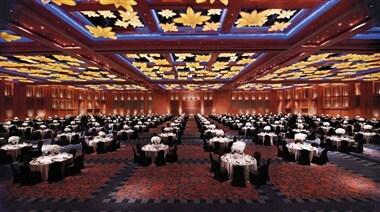 Resorts World Sentosa (RWS), Asia’s ultimate destination resort, is located on Singapore’s resort island of Sentosa. Spanning 49 hectares, the resort opened in January 2010 and welcomed over 45 million visitors in its first three years of opening. RWS is home to two mega attractions - the region’s first-and-only Universal Studios theme park and the Marine Life Park, which comprises the S.E.A. Aquarium (one of the world’s largest aquariums) and Adventure Cove Waterpark. Other attractions include a Maritime Experiential Museum, an award-winning destination spa, a casino, six unique hotels, the Resorts World Convention Centre, celebrity chef restaurants, and specialty retail outlets. The resort also offers world-class entertainment, from original resident productions to concerts and public shows such as the Crane Dance and the Lake of Dreams. 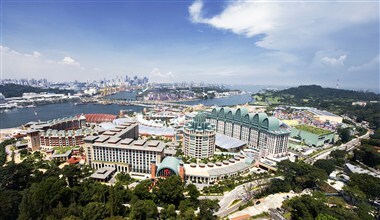 Resorts World Sentosa was named “Best Integrated Resort” in 2011, 2012 and 2013 at the TTG Travel Awards which recognises the best of Asia-Pacific’s travel industry. 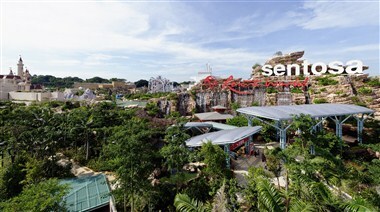 Resorts World Sentosa is wholly owned by Genting Singapore, a company of the Genting Group.